Pumpkin everything! 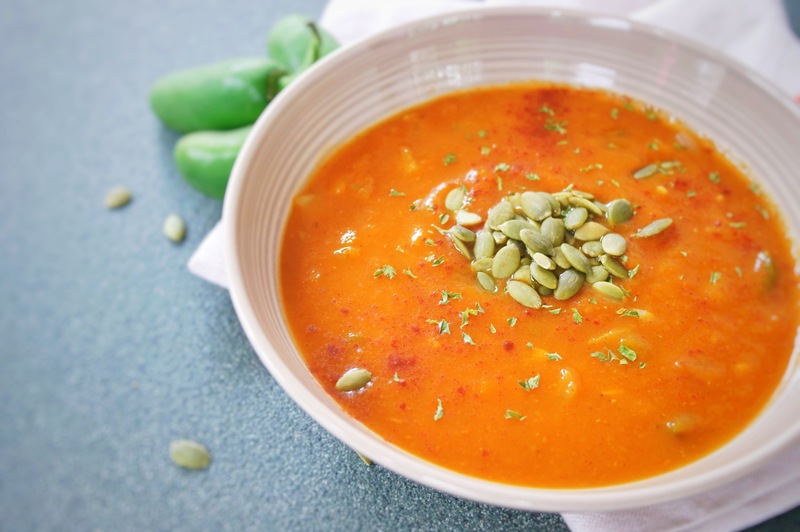 This is a spicy sweet pumpkin soup! 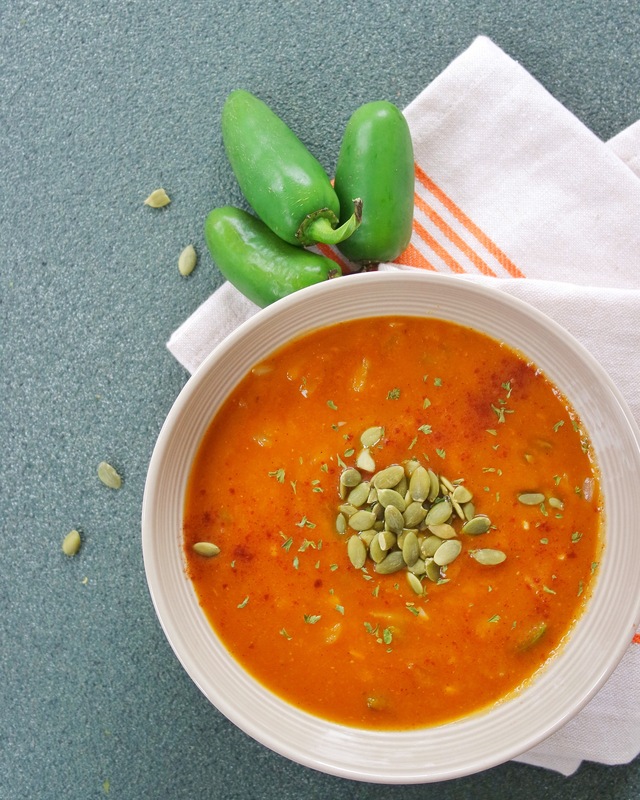 I love all things pumpkin and all things spicy so it made sense to me to combine them both! This recipe is so quick it’s rediculous! 1. Heat oil in Dutch oven and add chopped, onion, garlic, and jalapeño peppers. Sauté for 2-3 minutes then add seasonings. Sauté another 2-3 minutes. 2. Add in vegetable broth, pumpkin, and red wine vinegar. Mix well and allow to simmer 10-15 minutes. 3. I like to taste at this point and add in additional amounts of all the seasonings depending on what I feel it needs more of. Sometimes I get seasoning crazy! 4. Dish into your favorite bowl and top with a sprinakle of cinnamon and pumpkin seeds!